The Joomla Project is pleased to announce the immediate availability of Joomla 1.6.6. 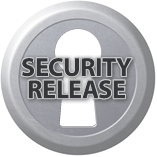 This is a security release and is intended only for those users who are unable to use version 1.7.0. Most users should update to 1.7.0 unless there are specific reasons why they cannot use 1.7.0 at this time. Update instructions for updating from 1.6.5 to 1.6.6 are available here.